Thanks to the influence of some ladies over at AC Bailey, a month or so ago I decided to give digi-scrapping a try. I never thought I'd really like it because I love paper scrapping so much. I don't think I'll ever give up paper scrapping completely, but I do really enjoy digi-scrapping. 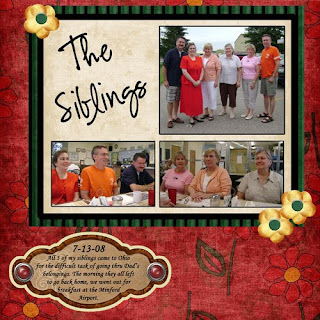 My next on was about my 5 siblings (BTW - I'm the youngest). They came to visit this past July to help us go thru our dad's belongings. The morning they left to go back home we all went to breakfast and took these pics. And the last one I've done, so far :), is this one of Kendra's first couple months of college. It uses the November DT Sketch and is the one that was chosen as Layout of the Week 11/15/08 on AC Bailey. 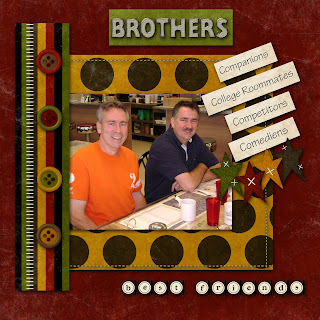 I've starting dabbling in digital scrapbooking the last few weeks. I'm really enjoying it. I'll post pics of my layouts soon. However, wanted to share some exciting news...my most recent digital layout was chosen as Layout of the Week over at AC Bailey Designs and will be featured on their blog all week. You can check it out here. 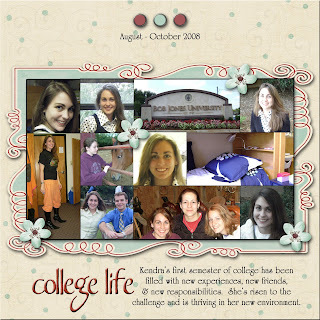 For this layout I used the November DT Sketch of the month for my design idea and made a collage of Kendra's first couple months at college.